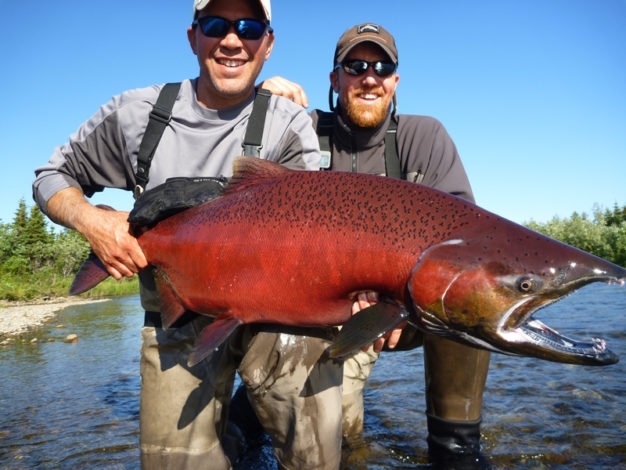 Alaska is an enormous state and boasts more wilderness area than the entire lower 48 combined, and with so many species of game fish available to visiting anglers the only thing we could do in naming this program was to include them all!. 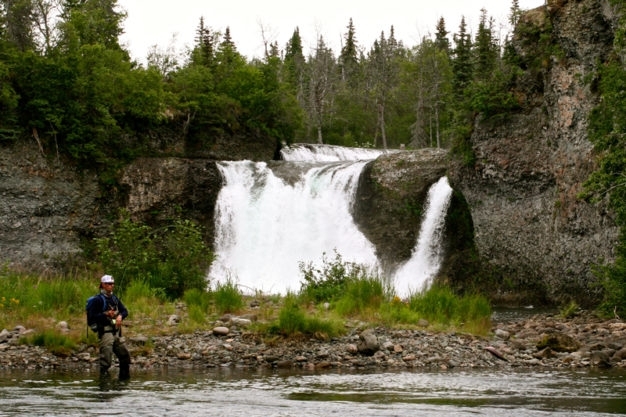 But with its extremely limited road system and high volume of summer tourists, anglers looking to access that wilderness without the crowds have pretty much only got one option - wings. That's where we come in. With the boats, the gear, and the planes to get you over the mountains and onto the rivers that driving just won't reach, Hemispheres Unlimited's Fish Bum Alaska program is an affordable option for both do it yourself and guided wilderness trips. 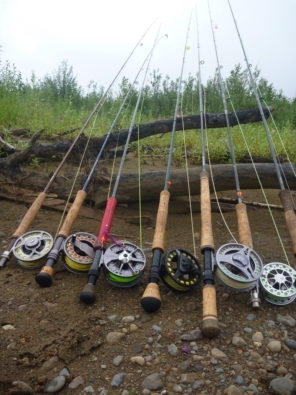 There is tons of great fishing in Alaska, but the truth of the matter is that the same thing is true here that is true anywhere else - the more remote the water, the less rods are on it, and the better the fishing will be. And when you've only got just so much time to be out there, who wants to stand in a crowd anyway? Our Fish Bum Alaska fly-out programs put anglers on a wide variety of back country rivers including American Creek, Funnel Creek, the Alagnak, Chili, Kokatuli, Moraine, Mulchatna, Stuyahok, Little Ku, and Copper Rivers, plus quite a few that you won't see us name here on the website. 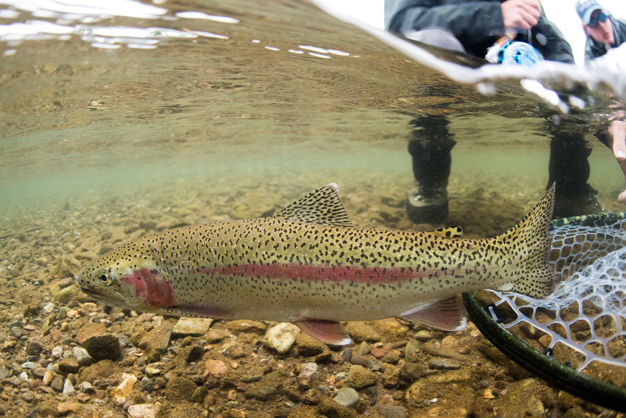 Each of these drainages has its own set of characteristics and its own personality, and our trip planners will consider the preferences of each individual group in selecting the right float at the right time for their trip. Looking for Kamchatka style mousing for rainbows? We've got it, and it's just as good as in Russia. 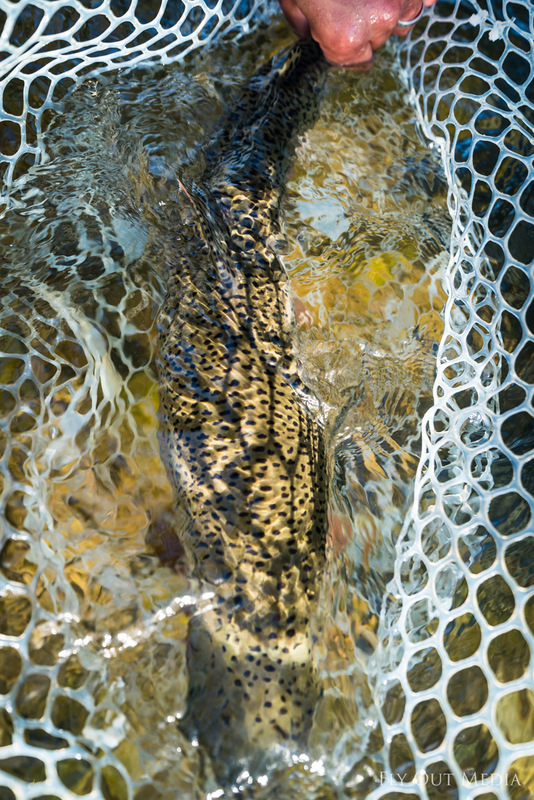 Want to focus on silvers under autumn skies? We know right where to put you, and when to put you there. 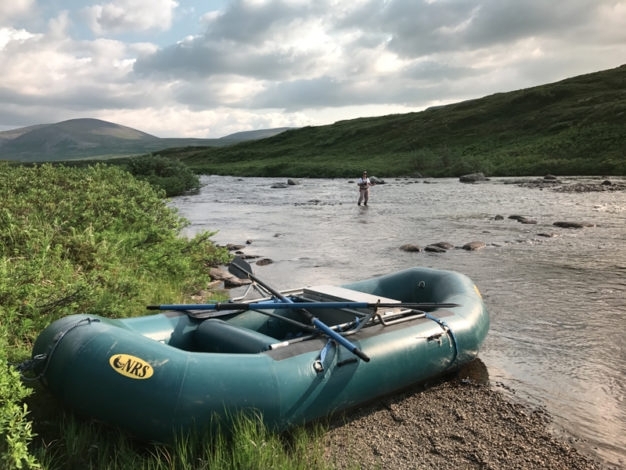 Best float for a mixed bag of salmon, trout and grayling with spectacular scenery? No problem; there are a variety of options to meet that desire. Our trip planners are happy to spend all the time it takes talking through each group's ideas and preferences while also getting an adequate understanding of the group's skill level to make sure they end up on the right river at the right time, and with exactly what they need to safely complete the float. 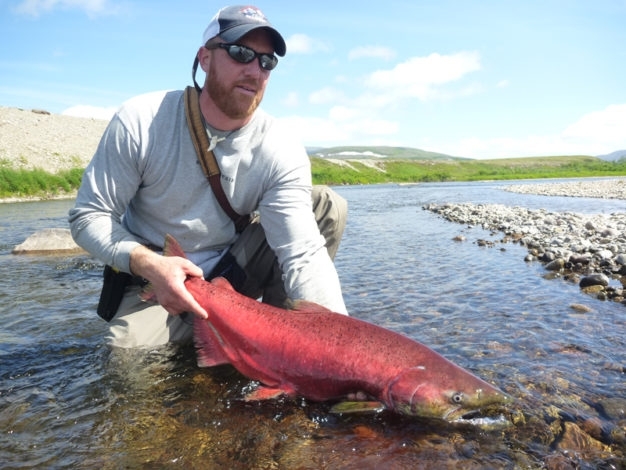 Our Fish Bum Alaska Programs can be set up either as self guided or guided trips. 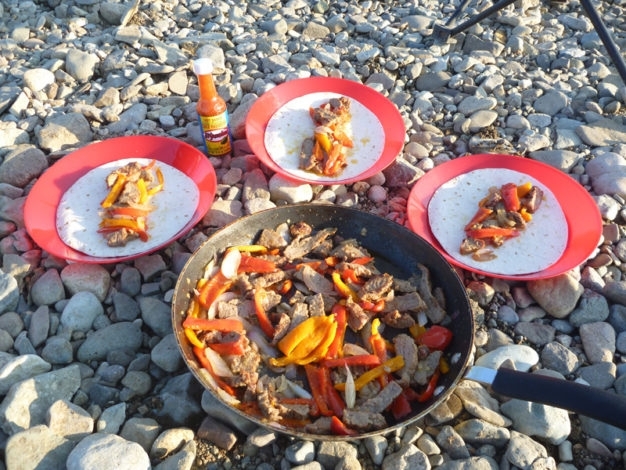 Which one is right for you will depend on your personal preferences, as well as your experience and skill level with back country rowing and camping. 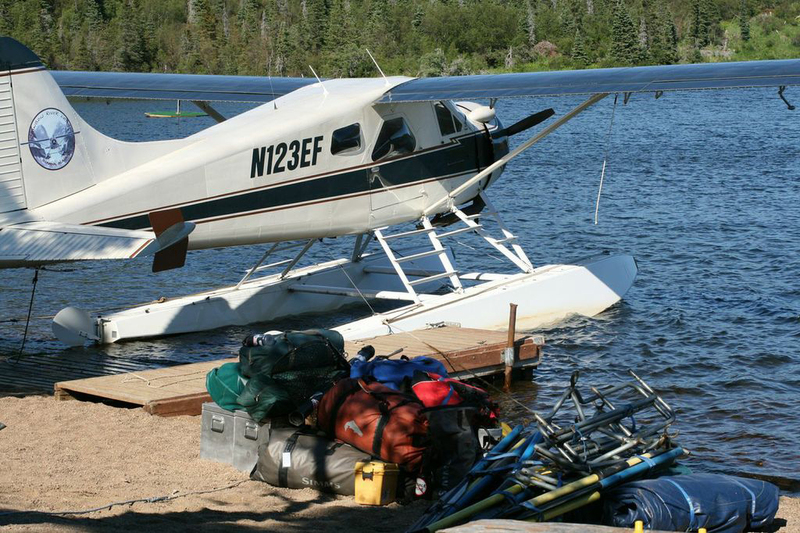 All of these trips are fly-ins, beginning and finishing up in a de Havilland Beaver on our little set-up lake in Iliamna which is reached via charter flight out of Anchorage. 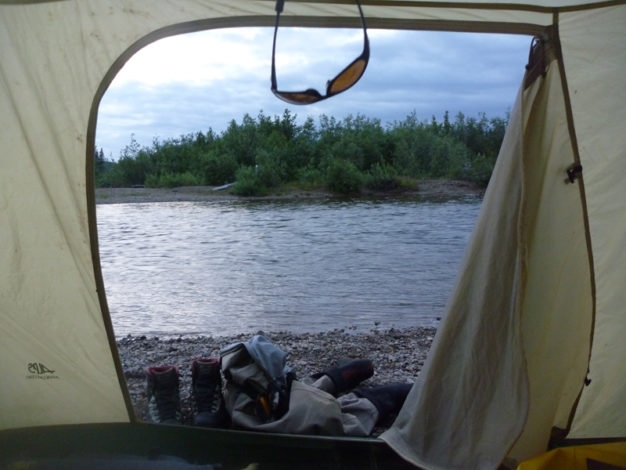 In between these two moments though, no matter what river or options you choose, is wilderness. Real wilderness, at a scale that is both astonishingly impressive and demanding of appropriate respect. 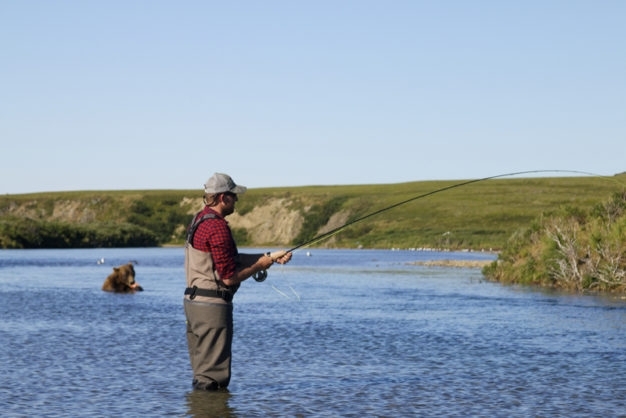 All groups go with a satellite phone for use in case of emergency, but that is your only thread of contact with the outside world until the moment when the plane lands at the end of the float to pick you up. 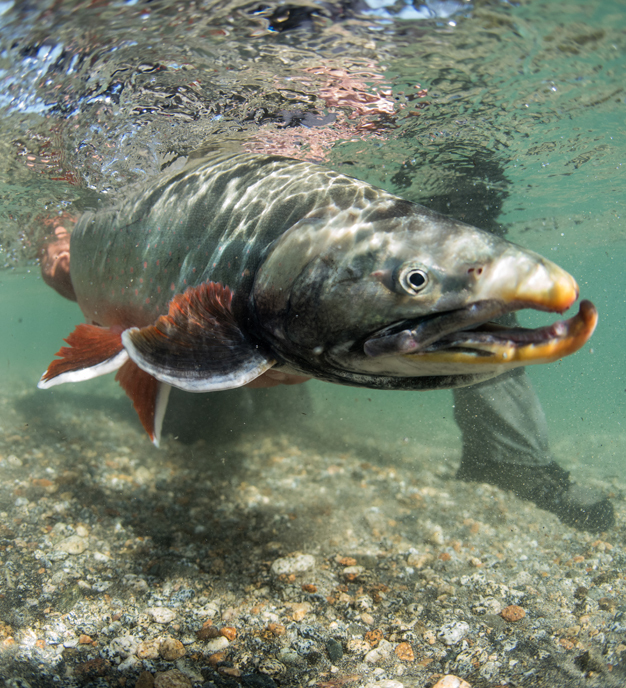 Our Guided Alaskan Fish Bum Floats are turn-key. Just show up with your fishing gear, clothes, and personal items, and the rest is taken care of by our team. This is not to say that you should expect chase boats full of waiters, mints on your pillow, and a masseuse; these trips are still back-country excursions and designed from the beginning to be affordable. 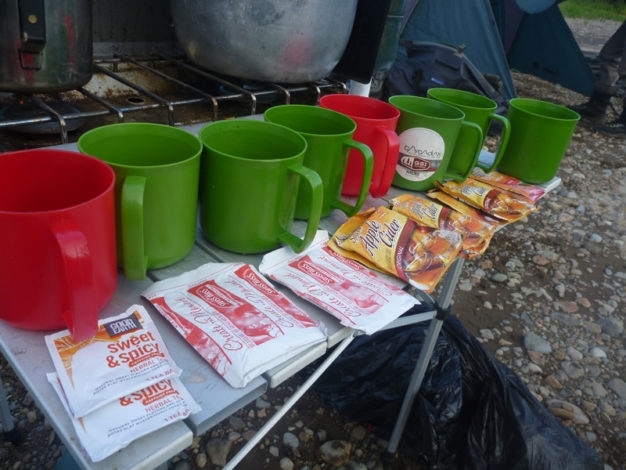 But the tents are spacious, the camp chairs comfortable, and the food far better than most clients expect considering the conditions (we've had nothing but compliments so far). 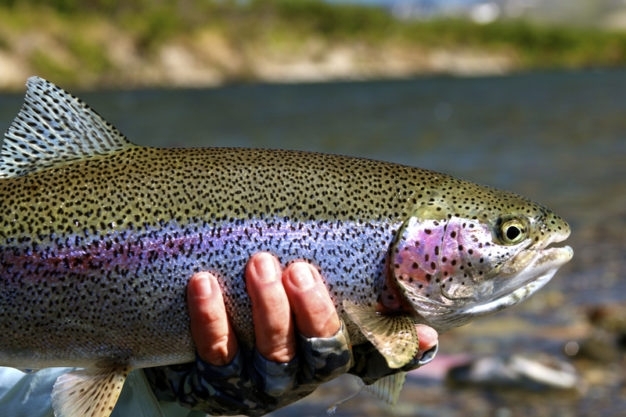 Guides on these trips take care of setting up the boats, rowing the river, selecting and arranging campsites, meal preparation, safety, and of course - putting you into fish. 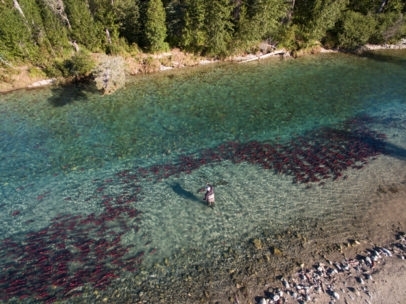 Lots of fish. 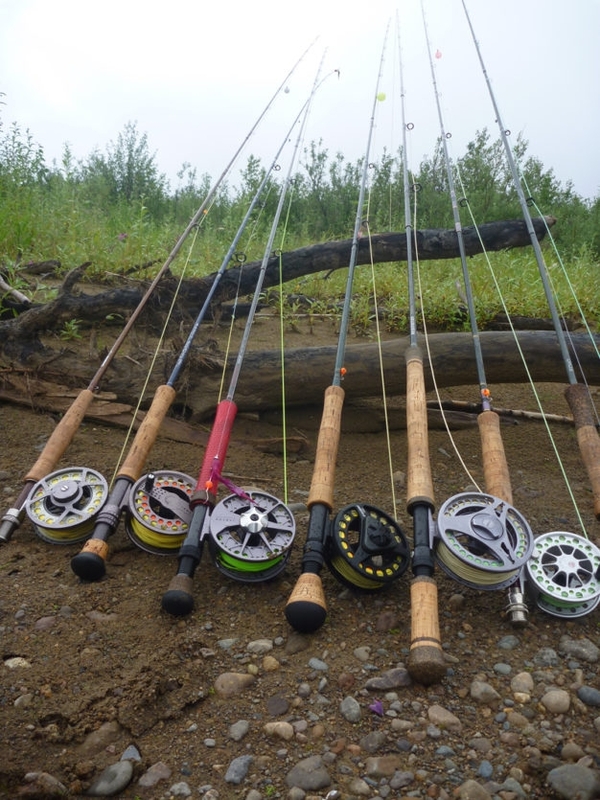 Sunday - Leave ANC for Iliamna on Lake Clark Air at 8:00 am. Pick up in Iliamna around 10:00 am. 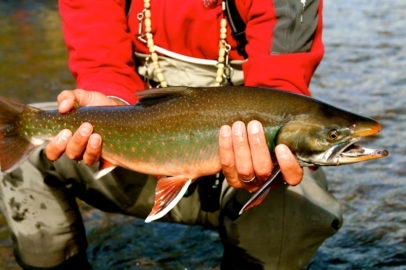 Load gear in the float planes, fly out to river, set up boats and camp, and be fishing by 1:00 pm. 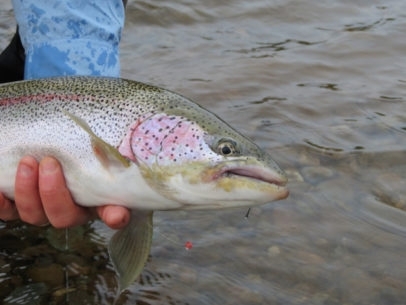 Monday through Friday - Float, fish, camp, and enjoy the spectacular scenery. Saturday - Break down last camp and row to takeout by 10:00 am (on some rivers you will camp at the takeout). Pick up and departure via float plane for Iliamna around 10:30 am. Depart Iliamna for Anchorage at 12:00 pm. Depart from Anchorage to your home airport anytime after 3:30 pm. 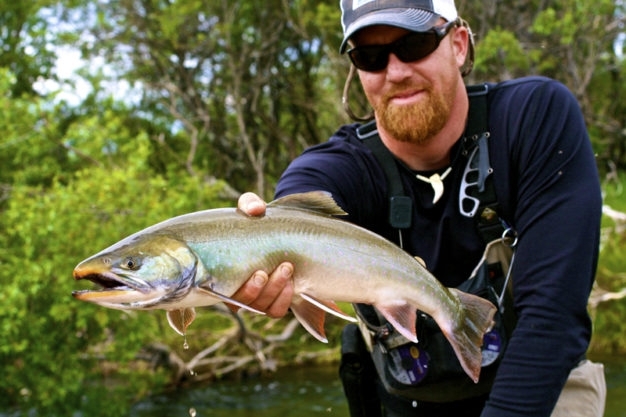 * Some rivers require more than a week to float, and extra days can be added to any river based on client preferences for trip length. 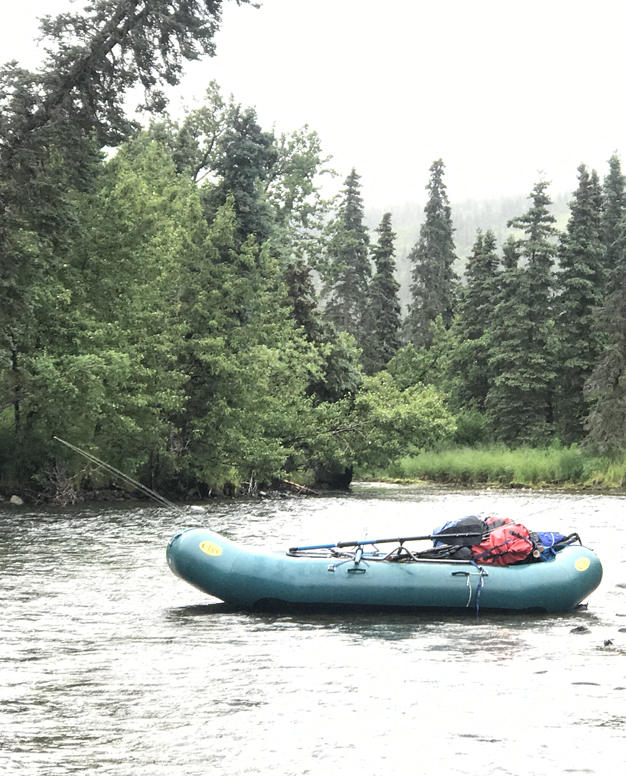 Our Unguided Alaskan Fish Bum Floats are set up to give experienced back country anglers a totally customizable option that provides whatever level of gear and support they need on top of the main thing they wouldn't otherwise have - access. 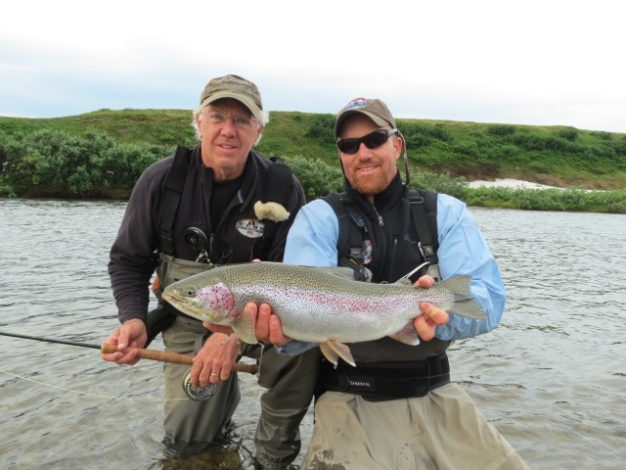 A lot of time goes into the planning each of these trips, both on the part of the clients and on the part of our staff here at Hemispheres Unlimited. 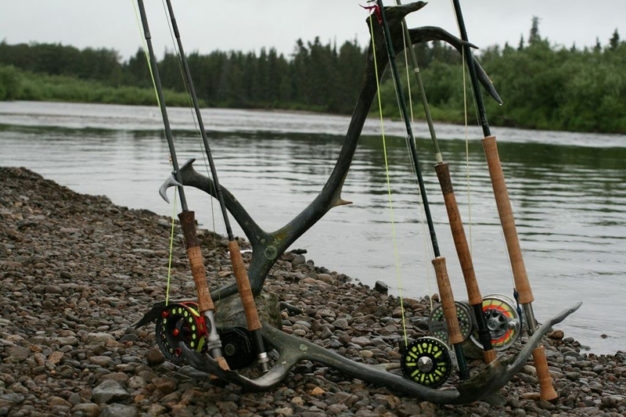 This is a function of making sure we come up with a plan that is going to put you on the right river at the right time for your skill level, fishing preferences, and overall expectations, plus with the right stuff to get you down that river in comfort and safety without having us along for the ride. 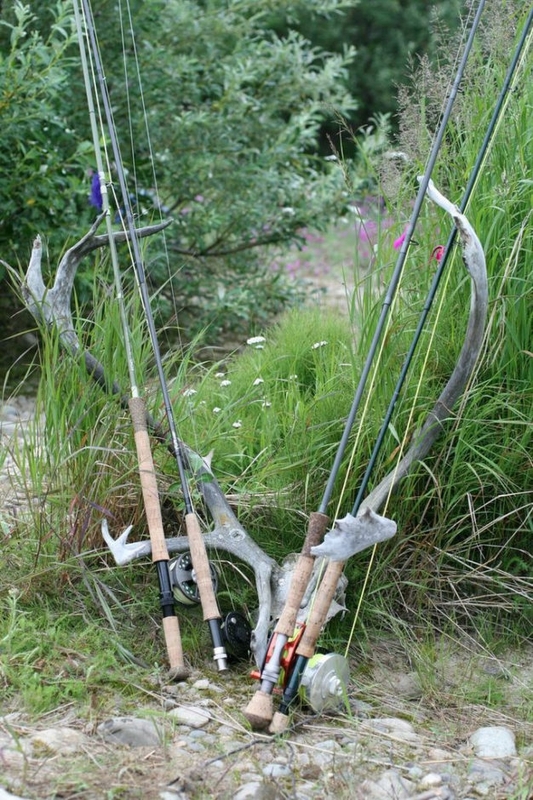 Very few outfitters provide self guided options for exactly these reasons - too much time and too much liability. 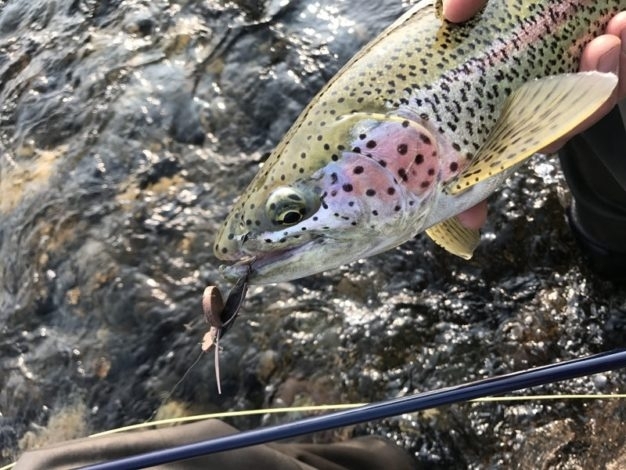 But since the earliest days of our company's experience in developing the original Trout Bum Program down in Argentina, we recognized that you guys are out there. People just like us who have the know how and the wherewithal to go it alone, and who either can't afford any other way or just prefer it like that. So the program was born, and is slowly but surely getting redeveloped in other environments around the world, like Alaska. 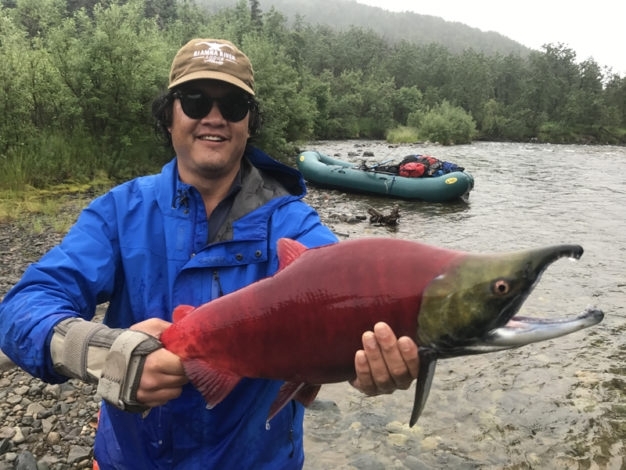 The Fish Bum Alaska program is great too in that with so many rivers to choose from in our area, we have a lot of options with respect to rowing abilities. 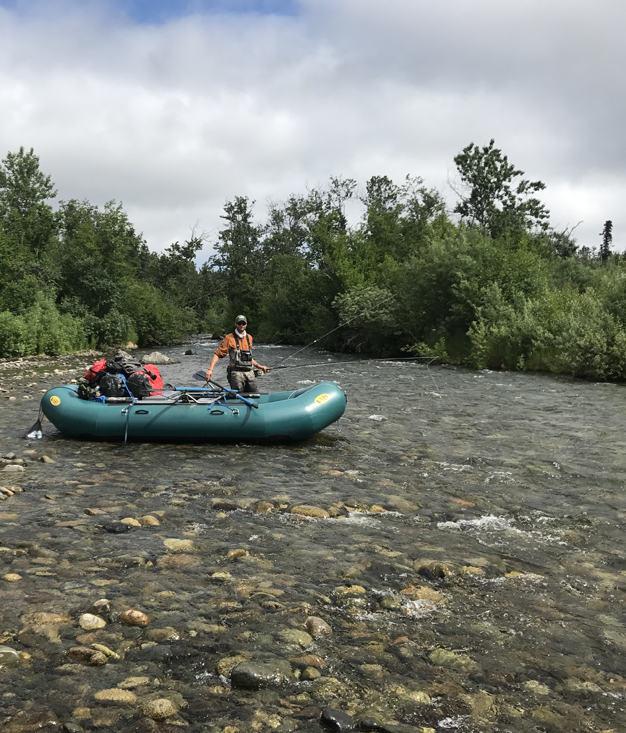 Some of these floats require significant whitewater experience, and some of them can be done by anyone who has ever handled a boat on moving water. 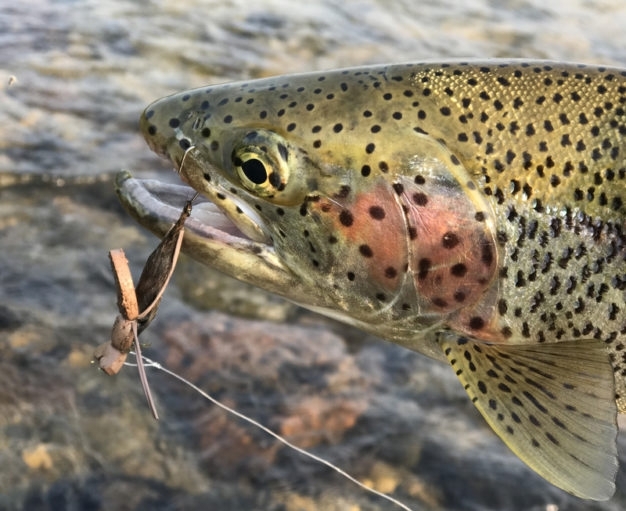 All of them though require at least a level of back country know how that can only be obtained through time in the outdoors on your own, and clients planning for an unguided float will be asked about their experience and skills before the trip is sold. We reserve the right to decline provision of this program in the event that we feel it may put you in danger. 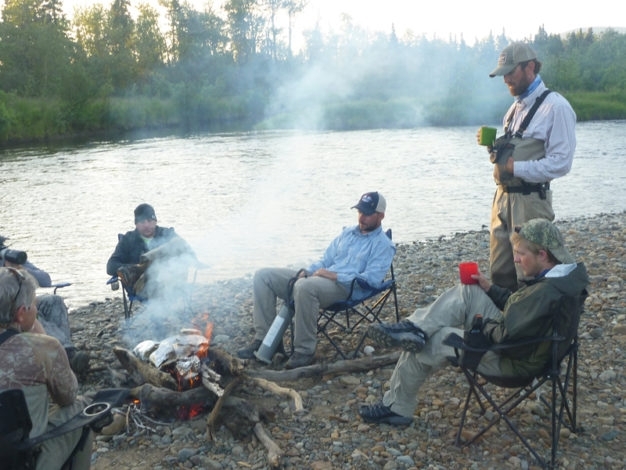 Prior to trip - Plenty of time in consultation with a Hemispheres Unlimited Trip planner figuring out which river is right for your group, what the timing of the float should be, and what gear you will need/want to have included in your package from us. All needed consultation on which river to select, what else to bring, and how to be safe and catch fish! * A much more comprehensive list of suggestions and information is included in our Client Welcome Info PDF for this program, which you will receive upon signing up. 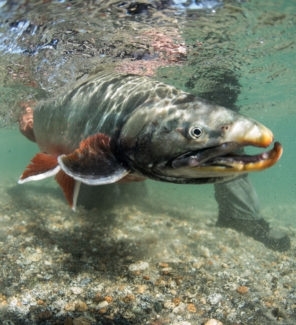 All of our Alaska Fish Bum Wilderness Float Trip programs begin and end in Iliamna, Alaska, and almost all of our clients arrive there via charter flights run by Lake Clark Air in Anchorage. 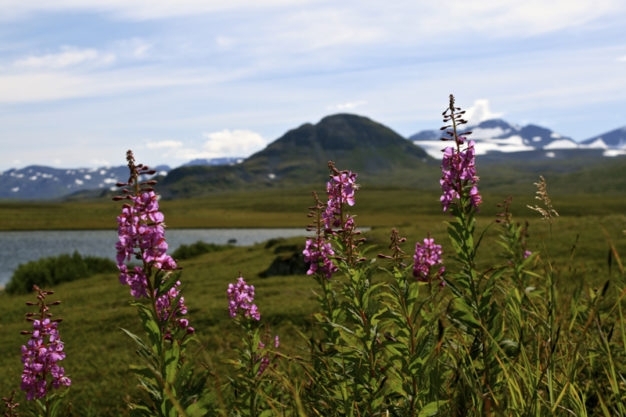 Generally clients arrive in Anchorage the night before their flight to Iliamna, but can easily depart Anchorage the day of their arrival there after the trip. 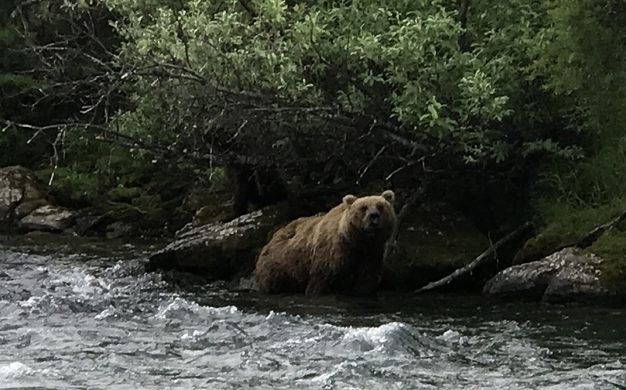 • Arrive in Anchorage the night before or early enough on the day of your trip to be at Lake Clark Air's office on time the following morning. • Everyone will need to be at Lake Clark Air by 7:30 A.M. (Located on Merrill Field airstrip at 2425 Merrill Field Dr, 907-278-2054.) We will arrange this flight for you but you will need to pay for it ($450) once you get there unless you want to call LCA and pay in advance. (Lake Clark Air is an excellent family run air charter business and this will be one of the most spectacular flights you will ever take). • Our staff will be waiting for your arrival in a passenger van mid morning at the airstrip in Iliamna. From there guests will be transported to the float planes to load gear, have lunch, and fly out to the river. 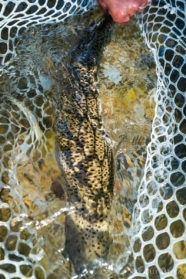 • Your personal gear will be transferred to dry bags we provide. 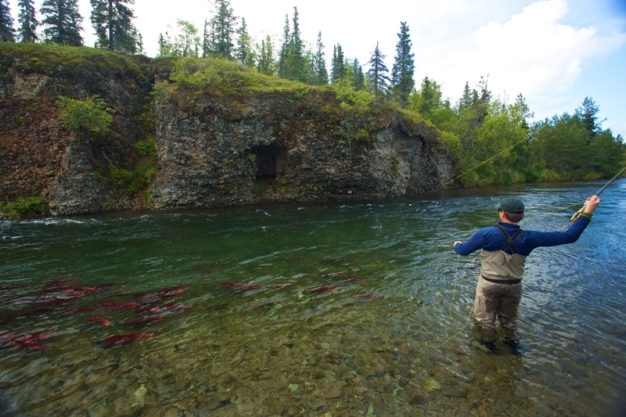 Anything you don't want to take on the river can be left locked up at our facility in Iliamna on Pike Lake. •We fly you out to the river in one of the Beavers and drop you off. 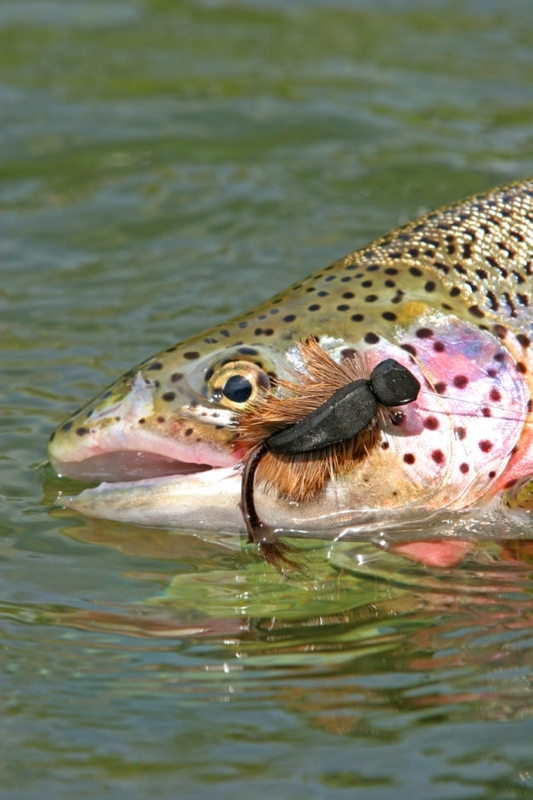 •You float and fish the number of planned days. •We pick you up from the river in one of the Beavers in the morning on the last day of your trip and fly back to Iliamna where you'll unload and re-sort the gear. 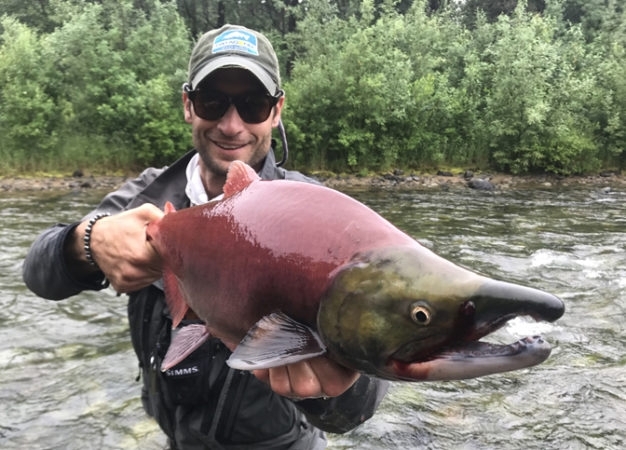 •You take a 12 P.M. flight on Lake Clark Air out of Iliamna and back to Anchorage, arriving at 1:00 P.M.
*We also have a lodging facility available in Iliamna for our float trip guests prior to or after your trip. Give us a call for more information. Always remember, our services are provided absolutely free; booking a trip through Hemispheres Unlimited WILL NEVER COST YOU A SINGLE PENNY MORE than booking it directly with the lodge or outfitter, but does reap the benefits of our extensive experience with that destination, as well as our ongoing support services available to you at any time prior to, during, or even after your trip. Hemispheres Unlimited's Fish Bum Alaska Wilderness Float Trip Program can be set up in one of two standard ways (as guided or unguided floats), and in a variety of custom ways. Standard package rates correspond to the information below, but feel free to call us with any questions or to set up something that better suits your needs. 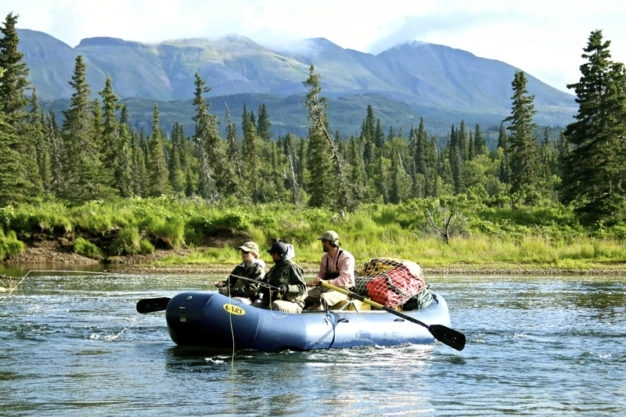 *Includes float plane flights from and back to Iliamna, guide, and complete outfit for the trip except fishing gear, personal gear, and sleeping bag. 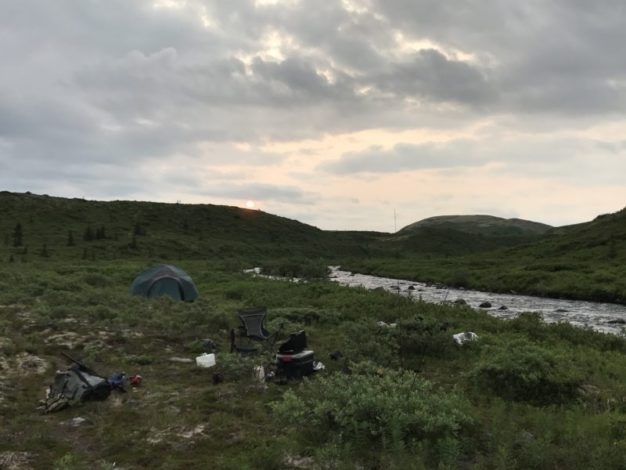 *Includes pre-trip consultation and full trip support, float plane flights from and back to Iliamna, boat and boat gear, dry bags, bear box, tent, cots, camp chairs, stove, and cook kit. 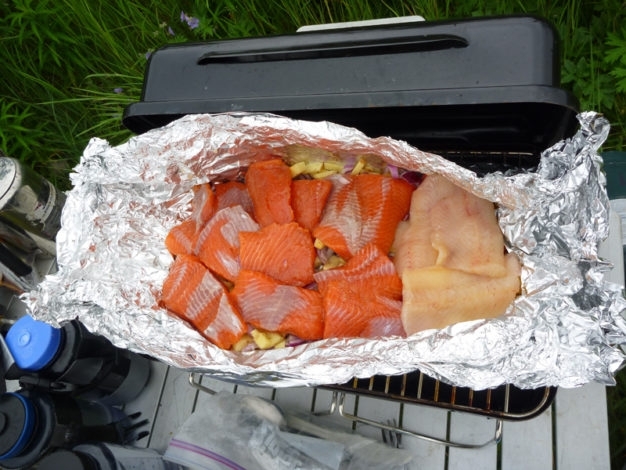 Contact us today for available dates and details, and get started on your way to an experience of Alaska's true wilderness, away from the roads and into the fish!